Whether you are prospecting FSBOs and expired listing leads or building your own geographic farm, failing to properly follow up will substantially limit your success. It’s like going through the trouble of tilling and planting a garden, but then never going out to pick your fresh vegetables. When you lay the groundwork for continual referrals, you have to put in the work to maintain the relationships you’ve seeded. This follow up will set you apart from other agents trying to harvest new clients in your geo farm. Here are some stats: the average agent only makes two follow-up attempts to reach a potential client, and 44% give up after one follow-up. Here’s another nugget: 80% of sales require five follow-ups. Don’t let that intimidate you—let it motivate you! By committing to following up with your contacts, you’re getting closer to hitting more sales than you’ve ever had before. Think about how many follow-ups you currently average with your contacts. Two? Three? Check out our list of geo farming methods and choose one or two ideas to add to your repertoire. By making a few tweaks to what you’re already doing, you’ll see the rewards from putting in the work now. Here are a few ways to improve your follow-up techniques and see more sales. Before you can improve, you need to admit that you have room to grow in your follow-ups—and then commit to improving. Commit to a plan, then execute it. All too often agents will say, “I’ll call you on . . .” and they never call back. With the kind of work that real estate requires, it’s hard to keep all the balls you’re juggling in the air. One step you can take to help is to log your commitments and keep them. Not only will this set you apart and land you more clients, but it will build trust and credibility with your clientele. Make sure your leads feel important by remembering the details of your past conversations. Wherever you are logging your commitments, put pen to paper (or fingers to keyboard) and make a note of past interactions with clients. Like doctors’ notes, it will give you a detailed log of where you are with each of your clients. Not only should you remember what you previously said, but you should have a purpose to your follow-up. What is the next step? What concerns should you anticipate? When you contact your leads to follow up with them, you will have a clear direction in where you should steer the conversation to get them closer to buying their dream home or committing to working with you. A CRM (custom relationship management) tool is a lead management system. 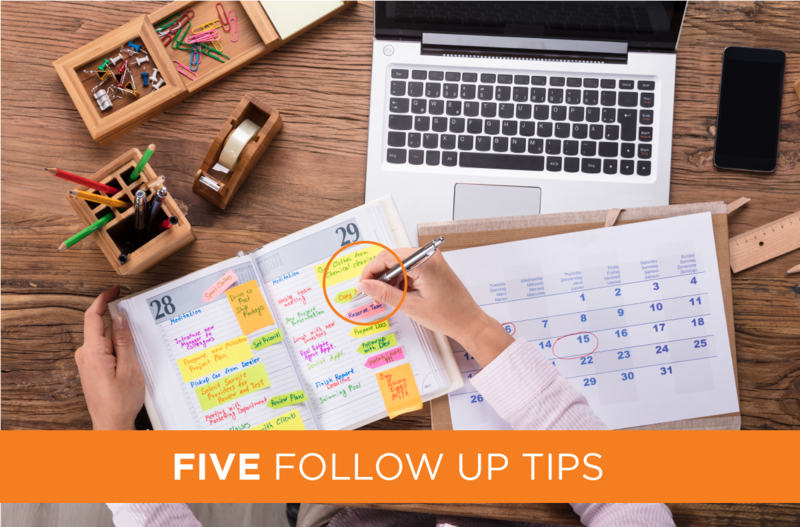 Use a CRM or another system to ensure you follow up. If there’s not a platform in place that you think will work for you, create your own that will vibe with your working style. There is a lead management tool included in your Landvoice account. This can help you make sure the right people are followed up with at the right time. Landvoice can also sync your leads right into many of the top real estate CRM platforms. A CRM is the pinnacle of utilizing follow-ups to get more leads, clients, and, ultimately, sales. As the adage goes: a goal not written is only a wish; and we add that a follow-up not written down and tracked is a wasted opportunity.